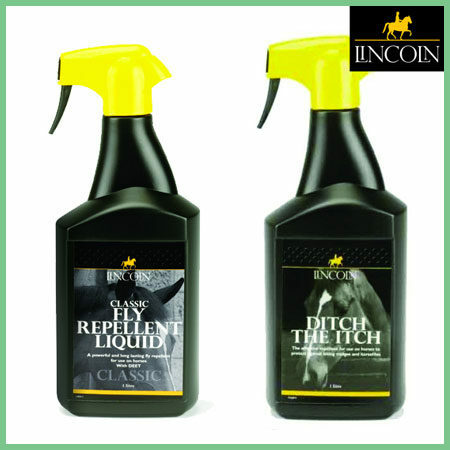 Buy a 1 litre of Lincoln Classic Fly Repellent Fly Spray and 1 litre of Lincoln Ditch the Itch for £19.95. 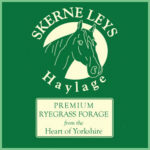 Serious fly protection for your horse! The Lincoln Classic Fly Repellent is a powerful long lasting dual action formula. 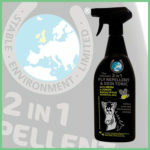 This equine fly repellent spray contains DEET and the new generation fly repellent PMD. 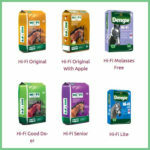 Solvent based, and certified HSE 7805 this highly effective equine fly repellent is what you need if you really want to keep your horses fly free for long periods. Lincoln Ditch The Itch Fly Spray for horses is a highly effective midge repellent for sweet itch susceptible horses. This exceptional equine fly repellent is based on a concept used by native African tribesmen, and offers extended cover so you do not need to reapply so often. Lincoln Ditch The Itch is ideal for use when there is a potential of irritation from biting midges and a must have for owners of horses and ponies suffering or worried about sweet itch!